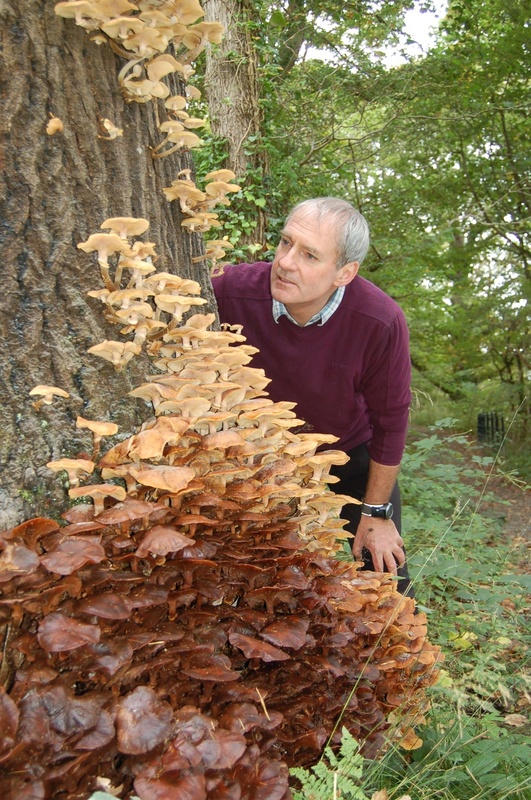 Fungal fan Mike Hale inspects some Armillaria. 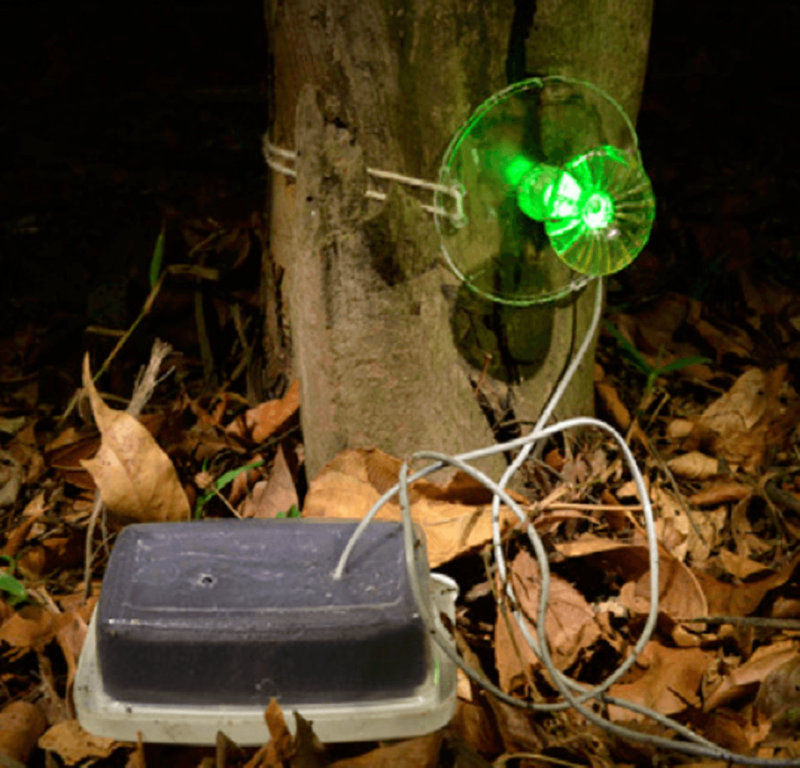 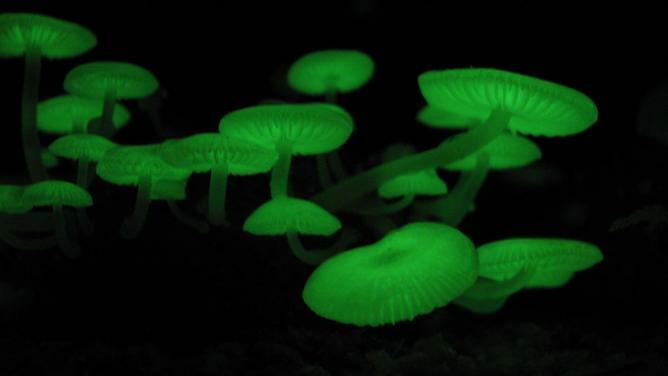 Mycena chlorophos – a fungus found in subtropical Asia. The beetles will never figure this one out.